It's the end of the first month of the year and time to take stock of the progress so far. The world has continued to hurtle closer to Doomsday and Death has continued reaping in much the same way as he did last year (RIP John Hurt) but it's been a great stitching month and that's what we are here for. I am also taking part in Stitch From Stash on FB. I have set a budget of £20 per month (which is equivalent to US$25 due to our rubbish exchange rate!). I have some Christmas money to spend but I am saving that to buy the supplies for my cousin's new baby stitching. I was on track for a zero spend but then Stitchrovia released the first part of her new SAL and it's for Charidee Mate so how could I refuse? So I spent £1.99 on that. I did buy some finishing items as well, but they are exempt from SFS. I will be saving nearly £3 a month in magazine subs because we have just been informed that the current issue of Cross Stitch Collection will be the last one. 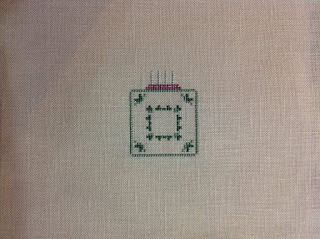 I have been stitching a couple of pieces I can't show yet. 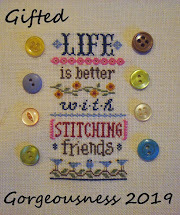 The first is for my Secret Stitching Sweetheart Blog Hop (not too late to sign up, just leave a comment) and the second is for The Alphabet Club on the first Saturday in February. But I do have an FFO to show. I plan to Fully Finish an Object each Sunday that I don't have to work. This is an 8 inch version of my favourite raw wood box frames from Wilkinsons. I painted this one with a sample pot of emulsion. You can see how deep the rebate is, there is plenty of room for those chunky beads not to be squashed. You can read all the stitching details on this post here. 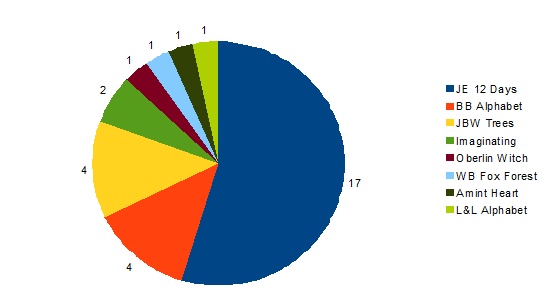 Not surprisingly, Joan Elliott's 12 Days of Christmas dominates the pie this month with over half the month spent of one design. Another 8 days on various SALs and 6 days of free stitching whatever called to me. 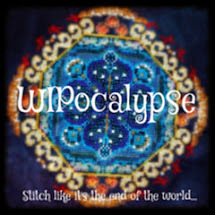 Finally, I forgot to mention on my WIPocalypse post that I have compiled a list of previous WIPocalypses (WIPocalypii?) which you can find on my Happy Dance Blog. I have noted down my success (or not) in completing the various projects each year. Last year was the best year yet which makes me happy. Each month we have to share the projects we want to complete before the End Of The World. I have chosen my "17 in '17" which are the 17 projects I want to focus on this year. You can see the full list on this page here. This month I have worked on a massive 7 of the list!! 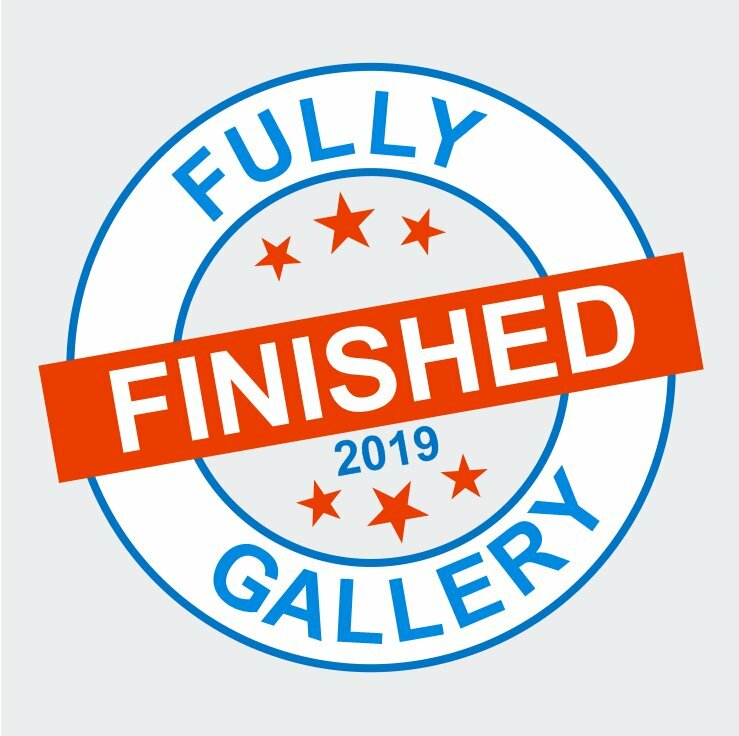 I even had a finish. The Workbasket - Fox Forest - Finish! Measi always gives us a topic to discuss too. January - What SAL’s are you participating in this year? Quite a few! I much prefer the open-themed SALs, such as WIPocalypse where I can fit my own projects into the posts rather than the ones were everyone stitches the same design. First Saturday of month - The Alphabet Club - we are working our way through the alphabet, the next letter will be S.
21st of each month - Theme-tas-stitch - Post something connected with that month's theme. New Moon - TUSAL - show us your ORTs! 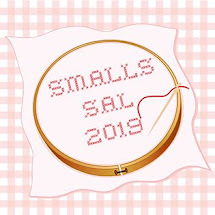 Last Friday of month - Smalls SAL - post anything small you have stitched this month. Last Sunday of month - WIPocalypse - post before the world ends! 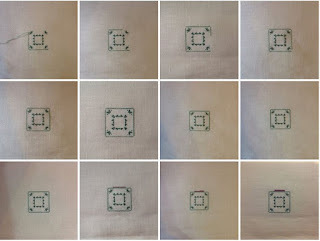 End of Month - Stitch From Stash - now on Facebook, keep within a budget and stitch what you already own. Throughout the month I also have the Hallowe'en Ornie SAL blog, the Christmas Ornie SAL blog and various Facebook themed SALs. 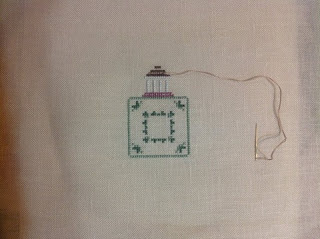 Kaye and I are doing one traditional SAL where we both stitch the same design - The Drawn Thread's Spot of Seasons. So far we have stitched Spot of Winter and on 1st March we will start Spot of Spring. I have also purchased Part 1 of the Stitchrovia Quotes to Live By partwork because all profits are going to MIND. I will wait and see whether I like the other quotes until I start that one. You buy each month separately so you could just stitch a few of them as ornies if you don't like them all. That's the main reason I don't do mystery SALs, I don't know if I'm going to like them! If I can't keep up I run out of enthusiasm too. Finally, as well as the SALs I run my Blog Hops. There are usually five a year; Easter, Summer, Hallowe'en, Advent and the next one which will be Valentine's Secret Stitching Sweetheart. If you'd like to take part in this one please leave a comment. I will ask you to send me a photo of something you have stitched which would be suitable for a Stitching Valentine. I send a photo to each participant and we all hop around on the 14th to see who received each Valentine. It's the first TUSAL of the year, the Totally Useless SAL where we all show our ORTS and link-up on Daffycat's blog. I have put these into a bag and will stuff an ornie at some point. Or just save them in a bag for no reason. It looks like a Birthday cake on top, it's actually a gazebo! 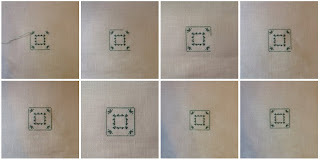 At least I will be able to tell which way is the top now, there is only one gazebo to stitch. 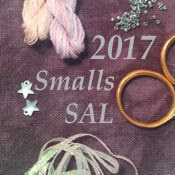 The Smalls SAL is hosted by Stitching Lotus for the fourth year. I will be sharing my Hallowe'en and Christmas stitching (which are actually two larger projects divided into monthly instalments) plus any additional smalls I stitch during the month. 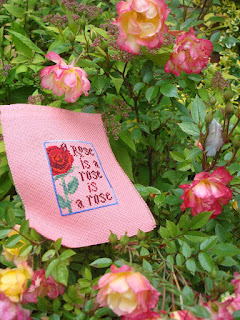 Finally, we have the Secret Stitching Sweetheart Blog Hop coming on Valentine's Day. If you would like to take part, all you have to do is send me a photo of something you have stitched which is suitable for a stitching friend. It could be a heart, or a pair of cute creatures, or the word "love" or anything which warms your heart. Really anything you think a fellow stitcher would like to receive in her email Inbox. I will then email you a photo to post on your blog on Valentine's Day. Everyone then hops around trying to find out where their photo went and who is the Secret Sweetheart! 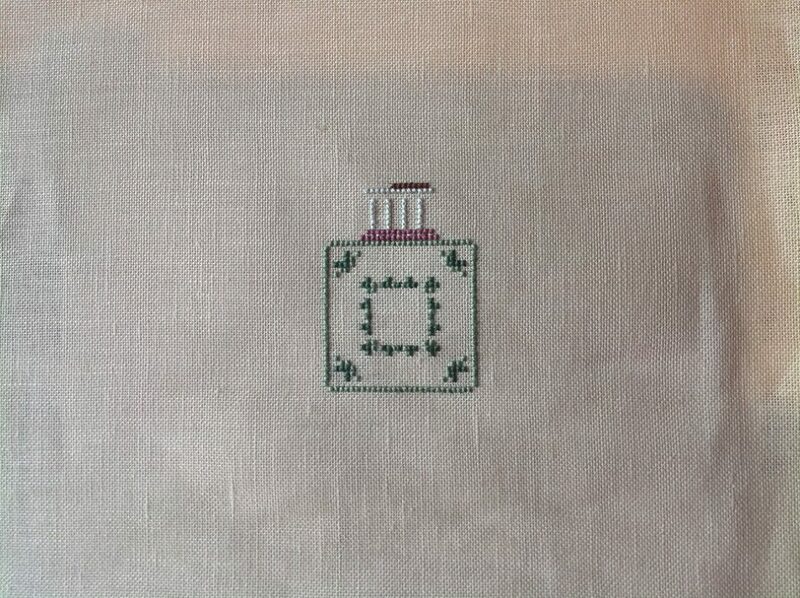 I have absolutely loved stitching OAAT on the 12 Days of Christmas but since I met my goal for this month, which was completing the Partridge block, I have craved a finish. So here are two! I stitched this using the DMC conversion but changed the letters to 3721 as they were charted in white which just disappeared into the fabric. I think they were supposed to represent snow. Those are French Knots in the bunny's rather over-sized bobtail! Again, I used the DMC conversion, tweaking things to suit. Some of the conversion colours were a little strange, more khaki than fox-coloured. 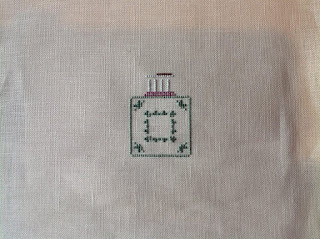 I also zig-zagged the border instead of stitching two solid lines! There are more Forests in this series so I will have to keep an eye out for them. This is my first finish from my 17 in '17 WIPocalypse list, so a great start to the year. The fabric is the same that I used for the Hallowe'en Cubes so they co-ordinate nicely. It took ages to hand-sew the fabrics together because both cotton and linen fabric had to be absolutely straight. It would have been so easy to start to get off the straight line. That partridge, in that lovely little pear tree! What an enchanting, romantic, poetic present! Bless you and thank you. I completed the First Day of Christmas from the 12 Days of Christmas by Joan Elliott. I started the borders on 12th December 2016 and I stitched on it every day for the 12 Days of Christmas as part of a Challenge on the Stitch Maynia FB page. Since then I have been focused on finishing the Partridge for this month. I did have a little break to fit in my Hallowe'en stitching though. The plan is to stitch the borders each evening when my son is in the bath and return to Block 2 in February. 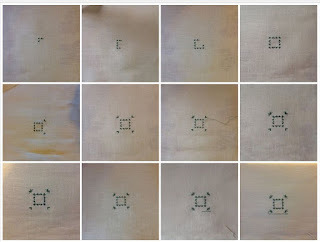 You can see where I stitched each block for a decreasing number of days for the challenge! Block 12 only got stitched on the final 12th Day whereas Block 2 got stitched on every day from the 2nd onwards. It's the Moon which forms the O in Hallowe'en for the design Happy Hallowe'en from Imaginating. That fabric is so much more lime green in real life! 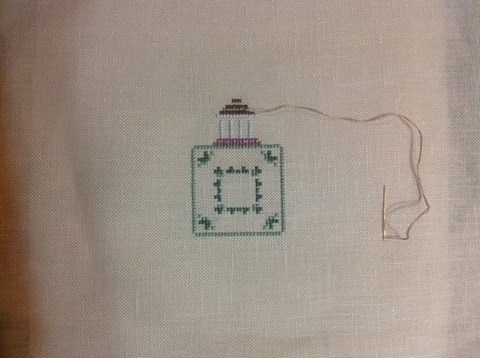 Having finished my SAL stitching for the month I decided to start a little small which I've had for ages. Antique Christmas Trees by JBW. This was a gift or giveaway prize from someone at some point. I know I didn't buy it myself but it got separated from the card which came with it and filed in with Random Charts. 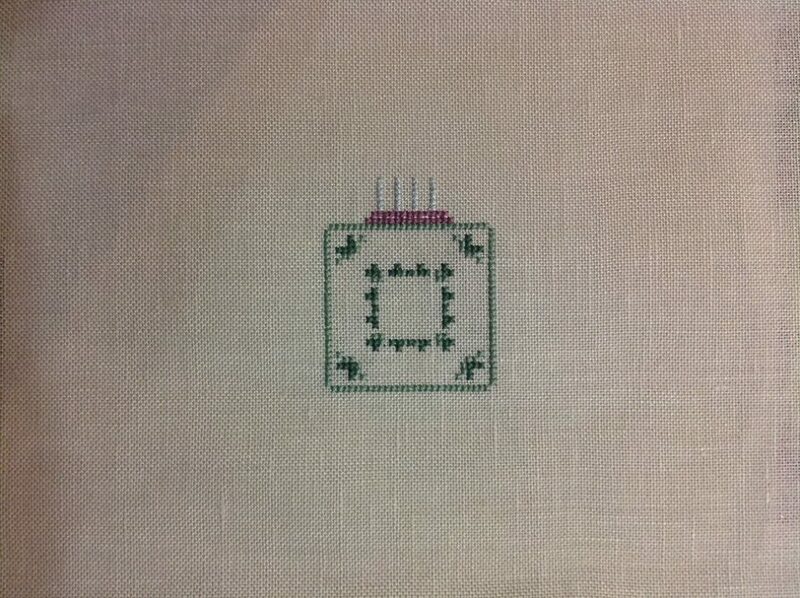 I'm stitching it over one on a scrap of 32 count linen which was tucked in with the chart. I'm using the DMC conversion. The suggestion for the border is very pink and not at all like the picture so I decided to make the alphabet darker pink instead of the barely visible white. I think the idea is that the white is the snow under the tree but it wouldn't show on my white fabric. I might stitch this again, over 2 on a blue or grey fabric using the white. It's a nice quick design anyway, that is just 2 afternoon's stitching there. You can really see how the piece grows each day. Some people have said that they would find it difficult to stop after just ten stitches. That's where my personal challenge comes into it - seeing how early can I get my photo posted! Every day I try get it posted earlier than the day before. Or not! Just for inspiration, here are some freebie heart designs from around the internet. Most of these could be stitched in a week so plenty of time for the Hop. And of course we must never forget the Patron Saint of Free design - Gazette 94! (there are 22 designs labelled Couer or Heart). 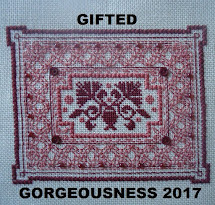 Welcome to the first Gifted Gorgeousness link-up of 2017! The link-up date will continue to be the 15th and I will keep the link-up open until the end of each month so you have plenty of time if you are late posting. is my first winner! Congratulations Leonore, I will be choosing something nice and sending it to you. who will also be getting something nice from me in due course. I have been focusing on the Partridge since the 5th January and it's nearly done. In the evenings I have been slogging away on the boring inner border which is now complete. I have to do an entire outer border and stitch both side of the borders in metallic so maybe I will start them next. This is a wonderful project now I have got a decent enlarged copy of the chart. The threads provided are not the same as the ones on the cover picture. The greens are very different but it's looking fine, a little brighter in fact. The kit was a gift from my MIL a few years back which is why it counts for GG. I did receive some Gorgeous Gifts just before Christmas. Our dear French Friend Jocondine sent me a wonderful parcel which I opened on Christmas Day. 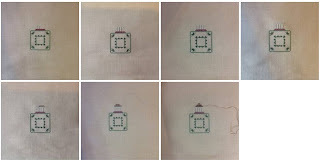 Some with cross stitched covers! Each little book is only an inch or so tall! Thank you Jocondine, I treasure your hand-made gifts. And now it's over to you. This is where you link up your post for this month. Please use your name or your blog name in the field and NOT the words "January Update" so I can easily see who has linked up this month. And link to the actual post, not just your blog. It is easier if you copy and paste the link, rather than typing freehand. If the linky doesn't work for you, Alicia, then please leave a comment and I will add the link. Finally, Miss Pea left a comment asking a question about the Dark Alphabet. But you are a "no-reply" person Miss Pea! I have left a comment on one of your old blogs so hopefully you will see that. If anyone has a question about anything, it's sensible to leave a contact email with your question so I can respond. If anyone else is interested in the Dark Alphabet then I suggest they contact Julie or Becky via the Note of Friendship blog. Their email addresses are there under their names. It's the first Saturday of the month so it's time for detention! "They only met online, but it changed their lives forever"
I think most of you know the lovely enigmatic Chiara who blogs at The Grey Tail? We were chatting via email a while back and between us came up with the idea of an A-Z language challenge. We batted some ideas around and are calling it the The Alphabet Club. Chiara has the full details on that link but basically she will post a link-up post on the first Saturday of each month (Saturday being detention day in the film) reminding us of the month's letter and we will all link up with themed things, from stitching to designers and local customs. 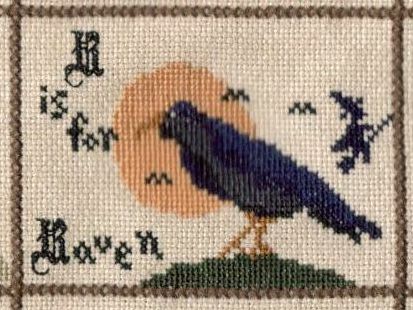 R is for Raven from A Dark Alphabet designed by Julie and Becky's A Note of Friendship blog. Ravens will feature on the Hallowe'en Ornie SAL Blog when I get to do R there. 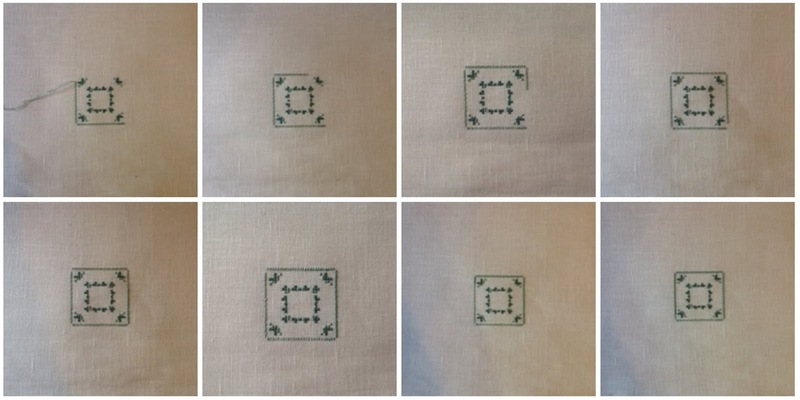 The chart shows all the background being stitched first, then the R being stitched on top. Not going to happen! Not with the amount of time I had to do this one in thanks to OAAT on the 12 Days of Christmas. I don't have any R designers in my stash but Rosewood Manor do some lovely Quaker designs and Renato Parolin has a wonderful selection of different tree designs. What I do have for R is a Rotation. I had a very successful rotation last year based on four different SALs for each weekend and one focus piece per month. This year I am changing it to suit my current projects. The rotation will start on the 26th of each month. It may seem random, but that's the day for the ABC SAL I am stitching the Enchanted Alphabet for. Then I will move on to the next Brooke's Books' letter to get it done in time for this post on the first Saturday. Once I finish the BB letter I will stitch my piece for the Hallowe'en Ornie SAL and then the piece for the Christmas Ornie SAL. Once those have all been done it should be the end of the first week of the month which leaves me three weeks to stitch on my focus pieces. I might do one piece for all three weeks, I might do three pieces for a week each. We shall see.